Get to know Tofino on a whole new level. 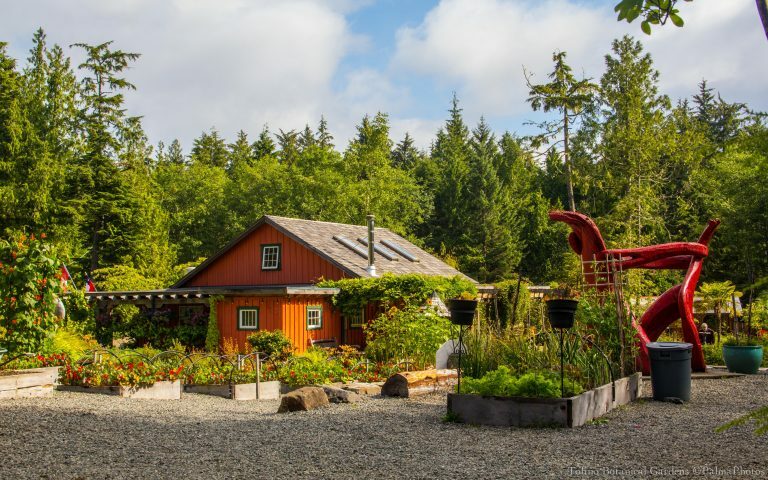 The Ecolodge at Tofino Botanical Gardens is a 10 room bed & breakfast lodge, located in a whimsical and inspirational 12 acre rainforest garden. 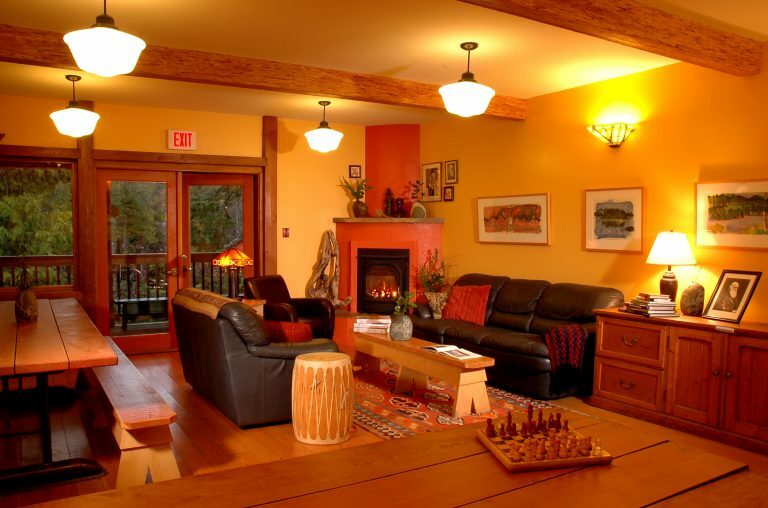 The Ecolodge was designed for the conscientious traveller looking for quiet, clean, affordable accommodation in Tofino, with a focus on groups, retreats, family reunions and education and learning opportunities. 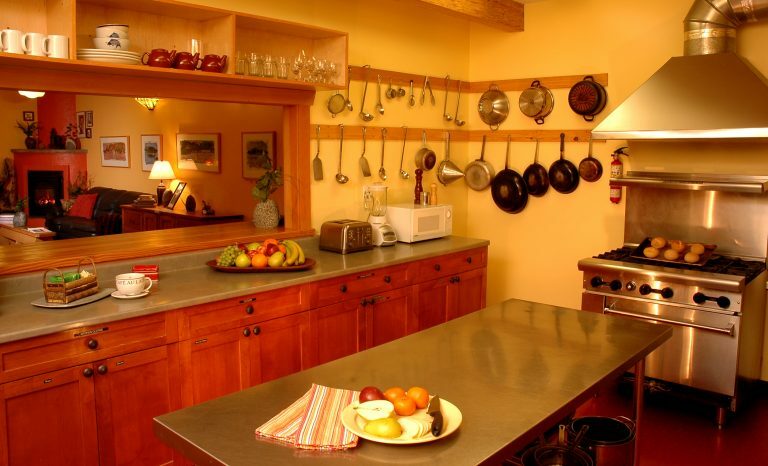 The Ecolodge features a large common kitchen (where you are provided with breakfast every morning), dining room and lounge, and cozy fireplace. Instead of TVs and telephones in rooms, the Ecolodge has a library well stocked with books about gardening, science, the local environment and history, Charles Darwin, as well as a handful of novels and childrens books! Most rooms have shared washrooms, with two ‘family suites’ featuring private washrooms. 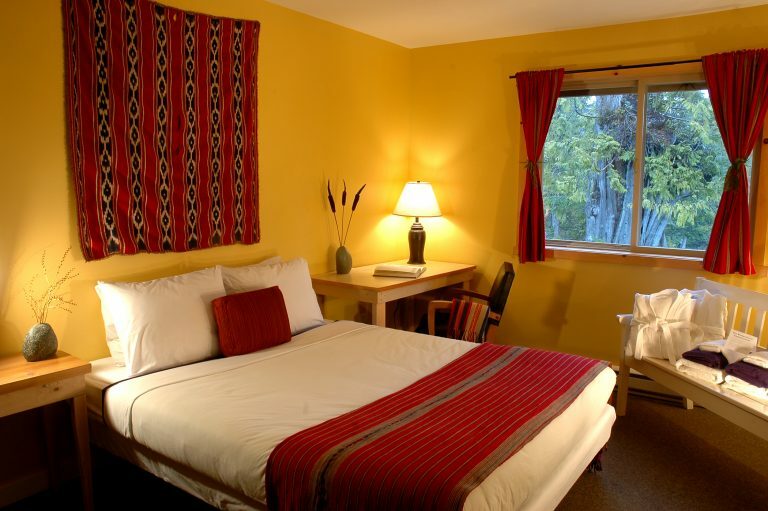 Rooms have a queen bed, two single beds, or four bunk beds, as well as storage space and a work desk. Linens, towels and robes are provided. 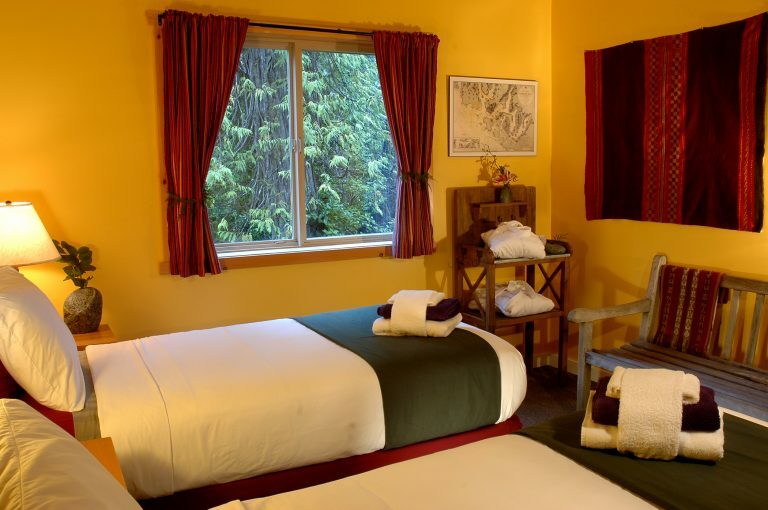 Classroom facilities are also available to Ecolodge guests and other Tofino visitors for meetings, presentations, yoga classes and more. An outdoor firepit provides the opportunity for evening story telling and marshmallow roasting. 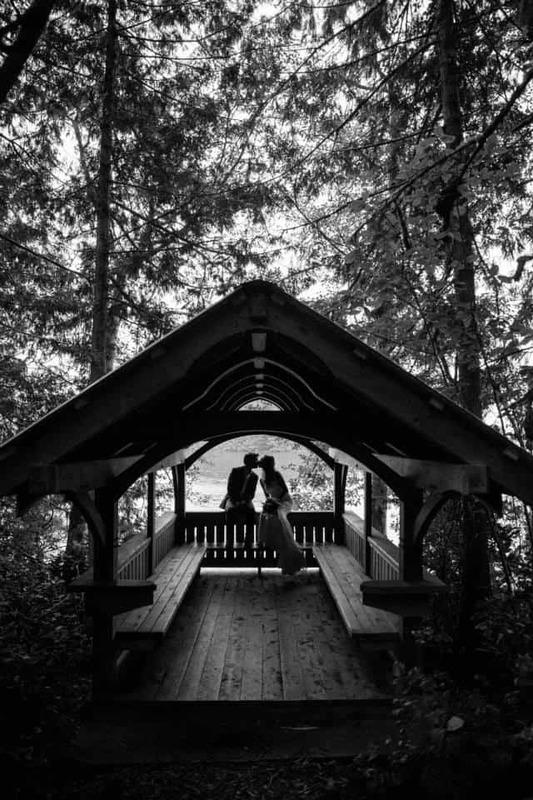 All guests are encouraged to roam the 12 acre waterfront gardens, exploring the natural and cultural histories of Clayoquot Sound and take part in our educational offerings. 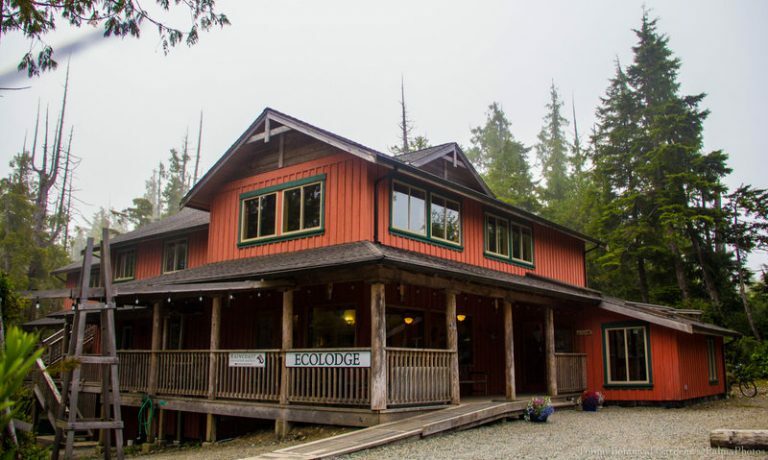 Owned and operated by George Patterson and Josie Osborne and staffed with a knowledgeable and friendly staff, the Ecolodge provides a warm, convivial and welcoming base for your exploration of the people and places of Tofino and Clayoquot Sound.